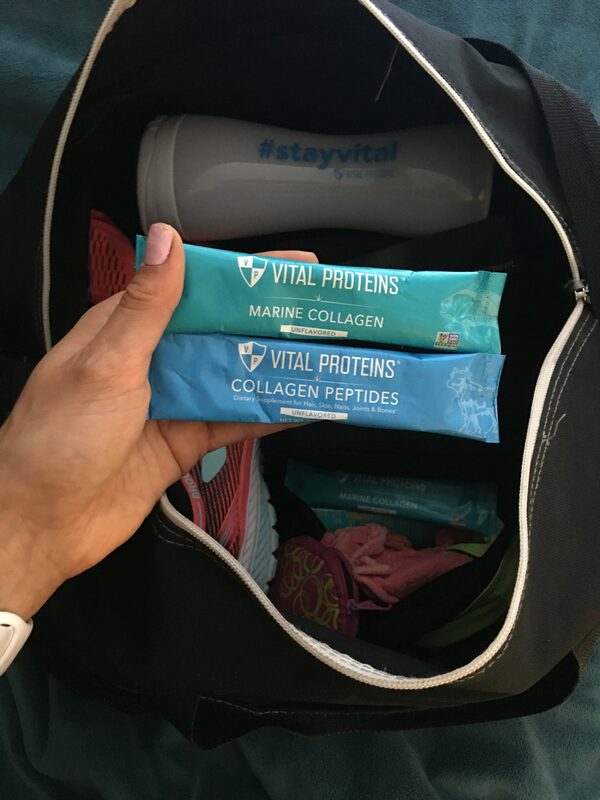 This past winter, I had the pleasure to sit down and chat with Vital Proteins about what I carry in my gym bag. 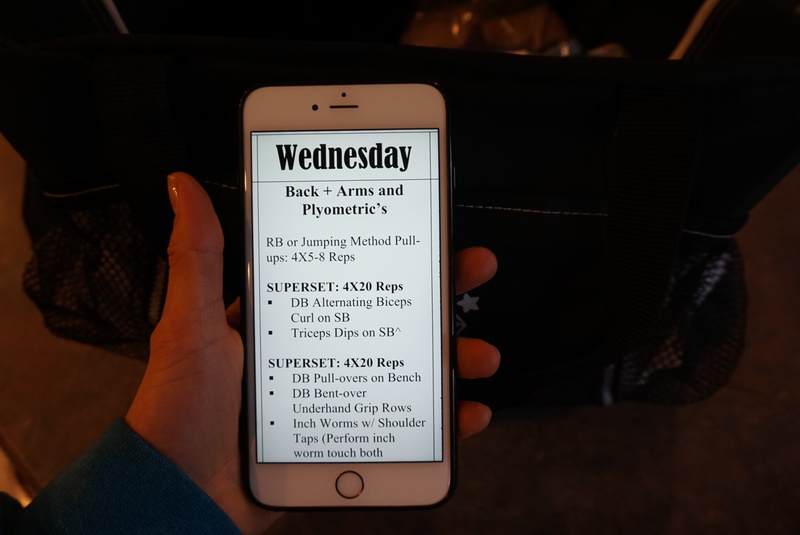 What you carry in your gym bag is a very personal matter. From sweaty athletic wear and gym shoes to your favorite music and workout props, everyone has different gym bag essentials. 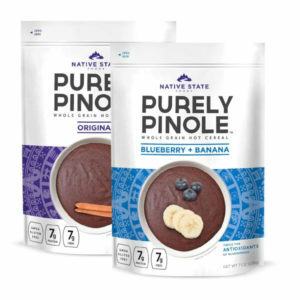 Runners will need different things than lifters, while yogis and martial artists are a different matter altogether. 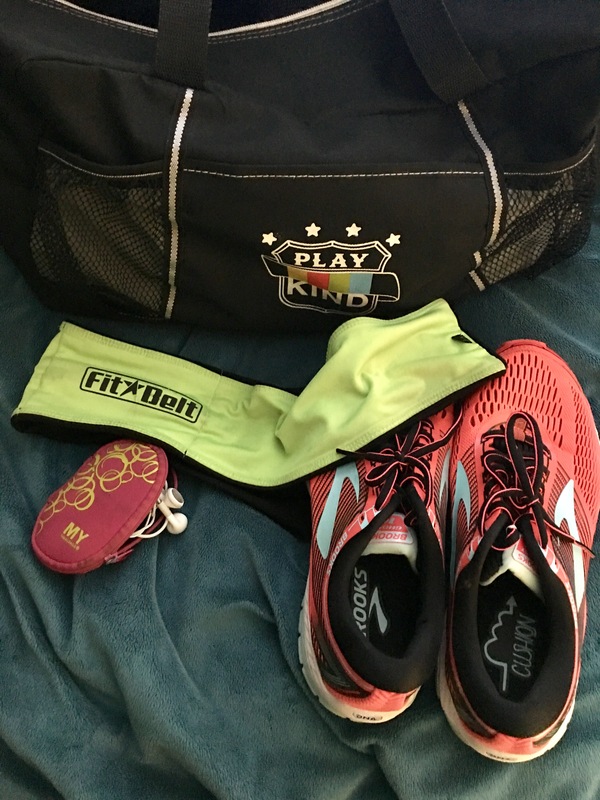 You might say an athlete’s gym bag is kind of like their personal first-aid kit. We’re talking about some of the best resistance bands, water bottles, and headphones on the market — and how to carry them around. What are 3-5 gym essentials you can’t live without? Whether you’re an advanced lifter, traditional cross-trainer, HIIT addict, or cardio junkie, make sure to find shoes to support the type of training you do. For myself, my type of training changes daily. I enjoy lifting heavy, HIIT cardiovascular movements, mini run and stair master sessions, followed by recovery techniques to keep my body running at optimal levels. My workouts constantly change; therefore, my shoes change for the type of workout (or activity) I perform that day. Pure Connect and Ghost by Brooks work best for HIIT cardiovascular movements and lifting sessions. Adidas and Under Armor are my favorite for cardio sessions and everyday activities. Find shoes that work best for your body type and goals to prevent injuries, and keep you running at optimal levels! I am always on-the-go with my Amp Up Fitness online and in-person training and nutrition business. In-person training consists of 60-minute “House Calls”, group fitness classes, or training at a local gym within Western suburbs of Chicago. 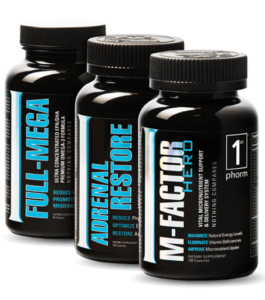 Online training programs are typically built at-home or Starbucks (coffee addict at its finest!). 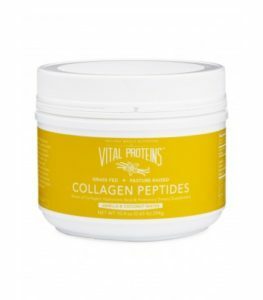 Always being on-the-go I thankfully I have found Vital Proteins Collagen Peptides to-go packets. The to-go packets have saved my life numerous times. 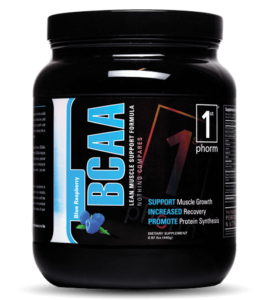 I will combine Collagen Peptides into Starbucks coffee, or add into my sleek water bottle combined with BCAA’s (Branched Chain Amino Acids) to help quench my thirst and hunger levels throughout the day. 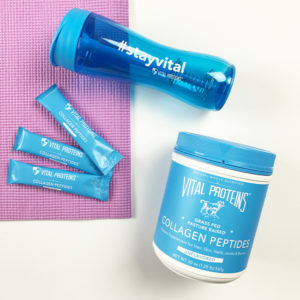 Be sure to find a sleek water bottle like Vital Proteins #StayVital Shaker Bottle with sip or chug options to drink from. I have to live the life I preach to my clients, family members, followers and friends. Having a workout program built for me and my overall health and fitness goals helps me stay on track. A workout program is absolutely essential for consistent progress. Each month I build myself a new online workout schedule. Workout schedule further gets divided into weekly then daily formats, outlining exact sets, reps and intensity level I should be striving for throughout each session. A workout program is an essential tool for anyone trying to build their best self. Track your progress every session and see what your body is made of! My workout belt has saved my life numerous times! Wherever or whatever my workout consists of I always wear my workout belt. Workout belt simplifies my active wear to disguise holding any items I need in a secure, no bounce location. Typically, at the gym my belt holds my phone. When I go for a run, hike or complete outdoor workout I will store any or all of the following: phone, money, car keys, and resistance band. This item has saved my life, and think you should definitely pick one up to! FlipBelt or FitBelt are two of the most popular brands to purchase your next workout belt. Do you use a particular gym bag? If so, what kind? For me, pockets and compartments are what I look for when it comes to finding the right gym bag. Right now, I currently use KIND Snacks gym bag. 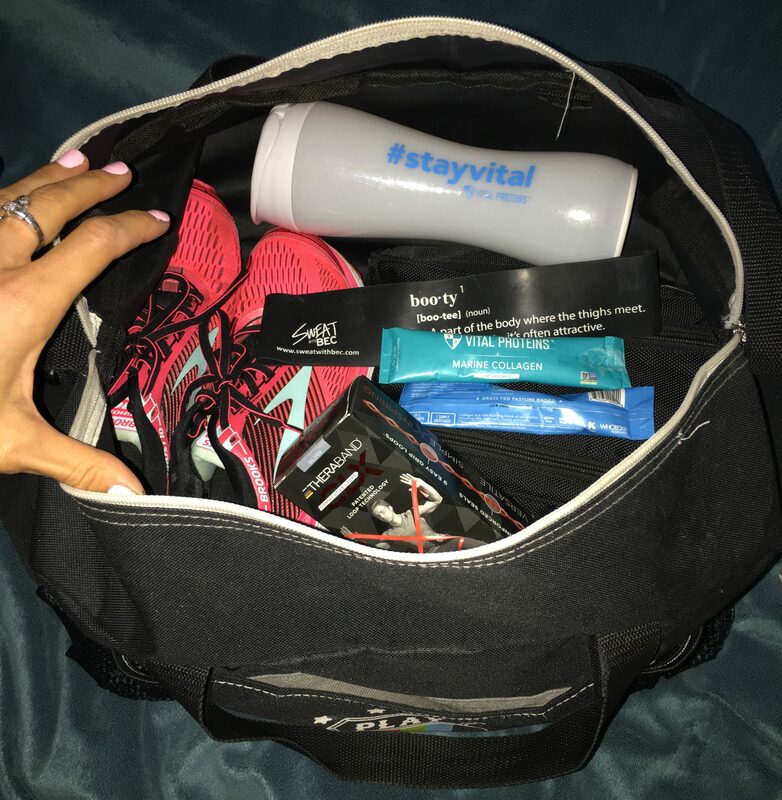 This bag has two mesh side pockets to hold my #StayVital shaker bottle, front pocket for headphones, and more then enough room for gym shoes, shower bag, clothes to change into, post workout fuel, resistance bands(s) and workout belt. I recommend finding versatile bag to get more for your money that fits your daily activities and lifestyle. Do you have any tips for how to find high-quality gym gear at an affordable price? When it comes to gym clothes, I have found the best luck when I take the time to find a brand—or brands, that work best for my body type, workout style(s), and lifestyle. Personally, I have became a huge fan of any brand that allows me to “test out the item”. For example, Fabletic’s, Athleta, and Lululemon allow you to purchase a clothing item and take it for a test drive throughout workout to see if the gear works or not for your body type, and activities. If gear does not workout, you can make a hassle-free return with no questions asked. To me, thats good customer service, and a brand I want to represent! How often do you wash your gym gear? Not enough, ha! Let’s just say, my priorities lag when it comes to washing my clothes or gear in general. Gym bag, I have had since July 2016 and have taken great care by wiping bag down inside and out. I will do this with hot water when bag needs a little freshening up. My secret to “no smell bag”… Bounce Dryer sheets. The trick, change dryer sheets out every other week and your bag, and gear inside will not smell! Luckily, for myself I live in gym clothes. I would say over half my wardrobe consists of athletic wear (so yes, I have a lot of gym clothes). When my laundry bin starts to overflow means its time to wash my clothes (varies weekly, but once a week I do a load of laundry). Do you listen to music at the gym? If so, what kind of headphones/music setup do you use? Music at the gym? Definitely! I use music as my motivation tool whether I do cardio or hit the weights. Currently, my go-to headphones are Apples generic headphones you get with your iPhone. Sadly, I lost my favorite bluetooth headphones on my last trip to Tennessee, and haven’t made the purchase yet (gift idea maybe?) Thankfully, my workout belt secures my phone around my waist so I do not have to hold onto it while I workout. 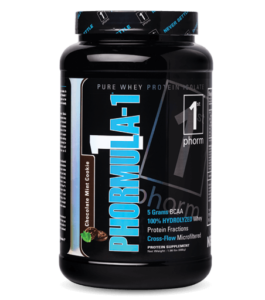 Are there any gym essentials you also use in home workouts? Resistance bands are my go-to for my at-home or on-the-go workouts. I love going for a run (when weather permits) and finding a local park or area where I can do 2-3 resistance band circuits, then run back to my starting spot. Dumbbells are convenient, and can be affordable depending on the weight. You can find at-home Print N’ Go workouts I have made around my website.